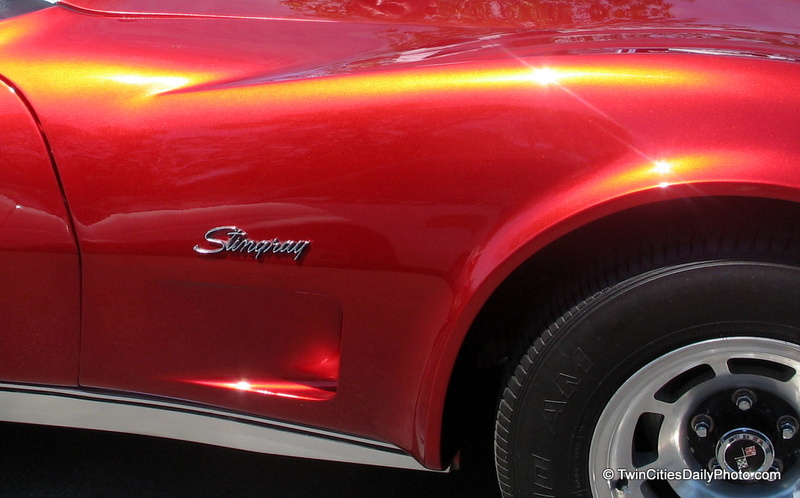 Hopefully a Corvette Guru can leave a comment on the year of this Stingray, I'm unsure by what's available in the photo. I captured this from the 2006 Car Craft Summer Nationals held at the State Fair Grounds. The candy apple red with the pearl coat gave the fender a really awesome look. I hope you took more than one photo of this car and are planning to post them ! :) I agree, the color looks amazing. Hummm, I believe there is more, I'll post them tomorrow if there is.